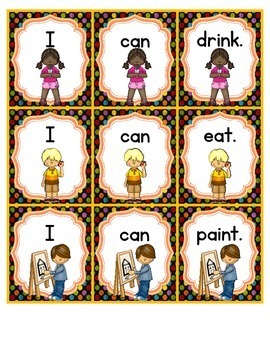 Children build sentences using sight words - I & can. various worksheets & recording sheet - described below. Use the word cards - I and the verb card (write, run) to make a sentence and the 2 word cut and paste worksheets. Use all three word cards -introducing the word can to the sentence. Ex: I can write. 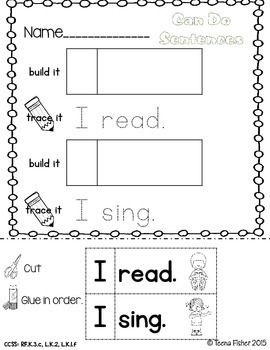 Follow up with the cut and paste worksheet. 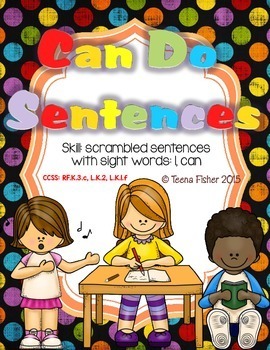 Use all three word cards and have students copy and illustrate the sentences to demonstrate comprehension. 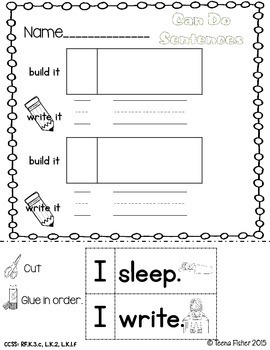 Cut and paste worksheets come in two versions - the option to trace the sentence for those that still need practice and the option for students to write the sentence.